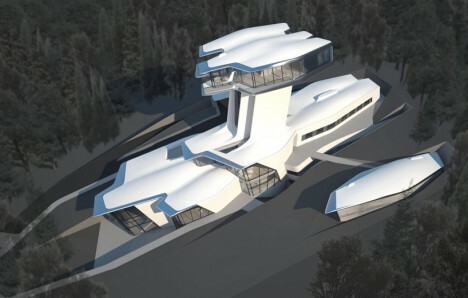 Every one of these somewhat ominous-looking futuristic homes is just waiting for its big Hollywood break as the lair from which some supervillain hatches nefarious plans. 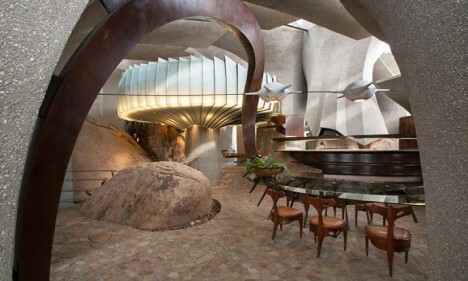 In fact, some of them have already been used as filming locations, or got their inspiration directly from a sci-fi series. 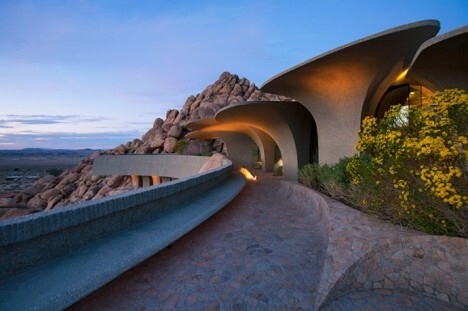 While most Bond-style villains might live in cliff-clinging complexes or hidden underground houses, these particular residences look a little more alien. 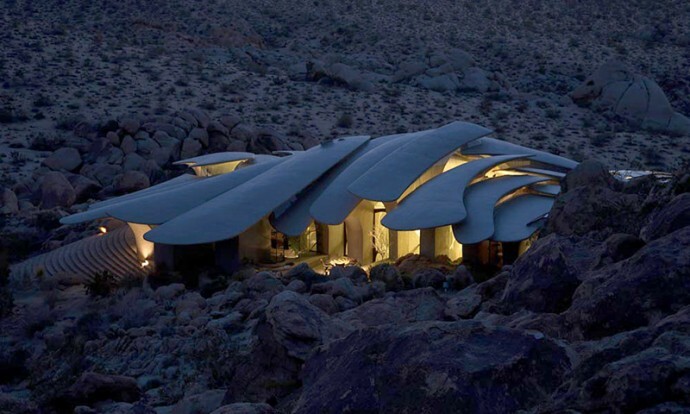 Combining science fiction aesthetics with organic and sustainable materials, this home by Kendrick Bangs Kellogg features an exoskeleton-like stepped roof supported by 26 concrete piers. 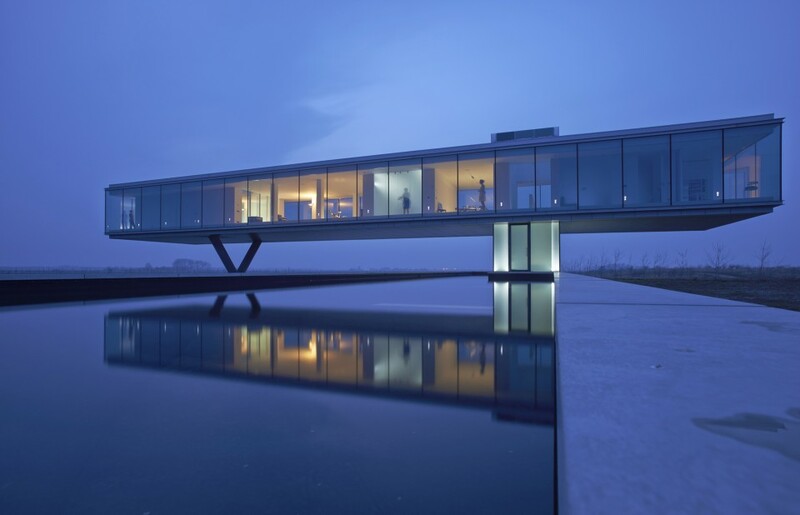 Everything about the residence is sculptural in nature, inside and out, and it’s easy to imagine it being a setting for a futuristic film. 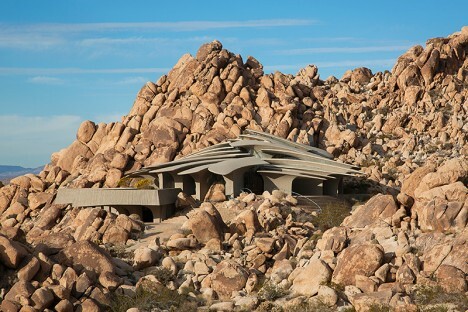 Completed in 1993 and located in Joshua Tree, it went up for sale for $3 million in 2014. 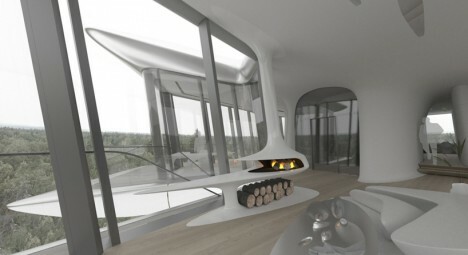 Designed by Zaha Hadid for supermodel Naomi Campbell’s Russian billionaire boyfriend, ‘Capital Hill Residence’ is a sculptural glass and concrete creation with a central tower looking out over the woods from the hillside. 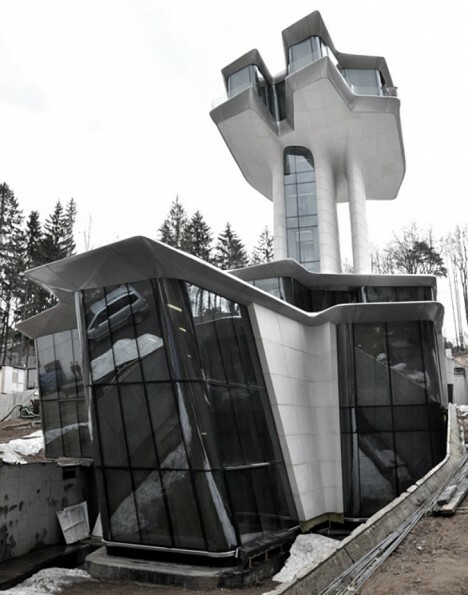 Maybe it’s a combination of the cold materials, strange layout, binocular-like tower and the Moscow setting, but this has ‘super villain’ written all over it. 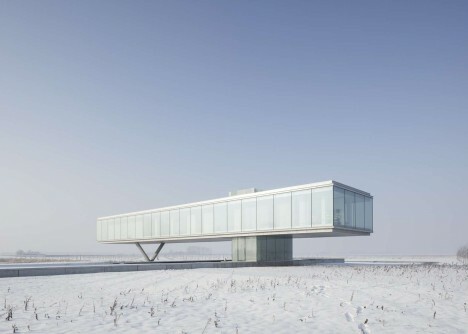 Set mostly underground, the only partially visible profile of Villa Kogelhof by Paul de Ruiter is required to blend into the landscape as part of the deal to build on a protected habitat. 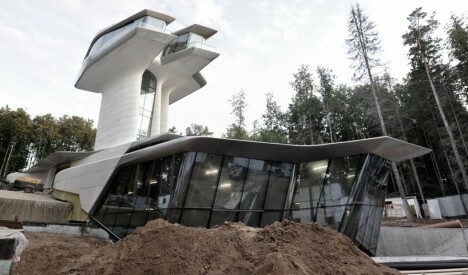 The entrance, parking for six cars, storage, bathroom and a workspace are all subterranean, while the floating glass box holds the living spaces. 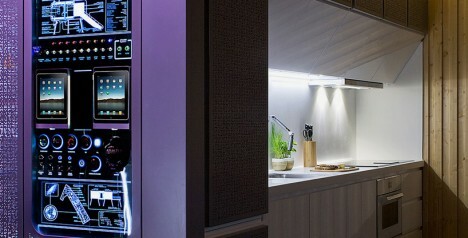 The home is self-sufficient, generating its own energy and recycling its trash. 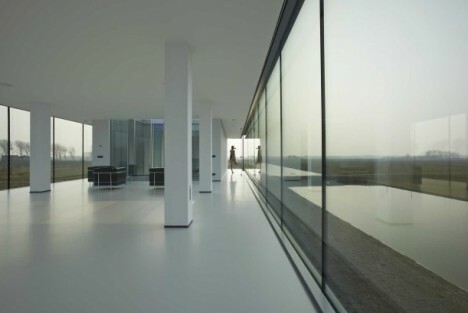 A client with a fondness for Star Wars wanted a home that would be quick and relatively inexpensive to construct, raised above ground level to enjoy views of his plot in central Spain. 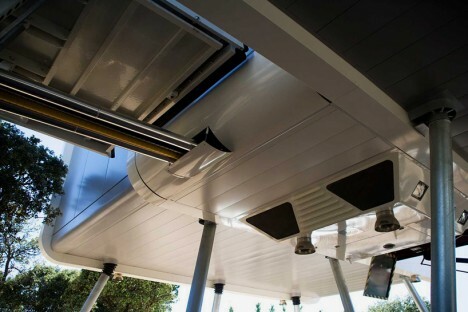 NOEM architecture created a polished metallic pod elevated on a metal frame and accessible via a restored airplane stairway. 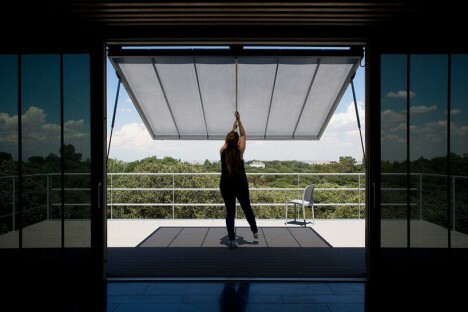 A futuristic wall-mounted panel controls all the functions of the house, including automatically raising and lowering shutters depending on the time of day or temperature.